I was spending a little time browsing the entrepreneur.com website. Call me weird, but it's a nice way to wind down after a busy day of work and gives me something to think about while I'm cooking dinner and going about my evening chores. 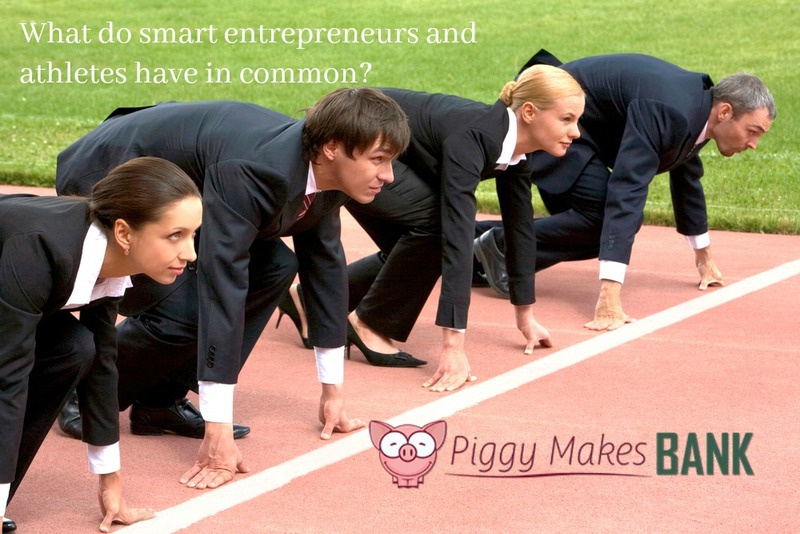 Without fail, it also helps me spark some ideas for our business here at Piggy Makes Bank or for some of the content we create for you. Most days it takes a while for something I read to spark an idea. Most days, I won't do anything with it until the next morning or even a few days later. Tonight was very different. 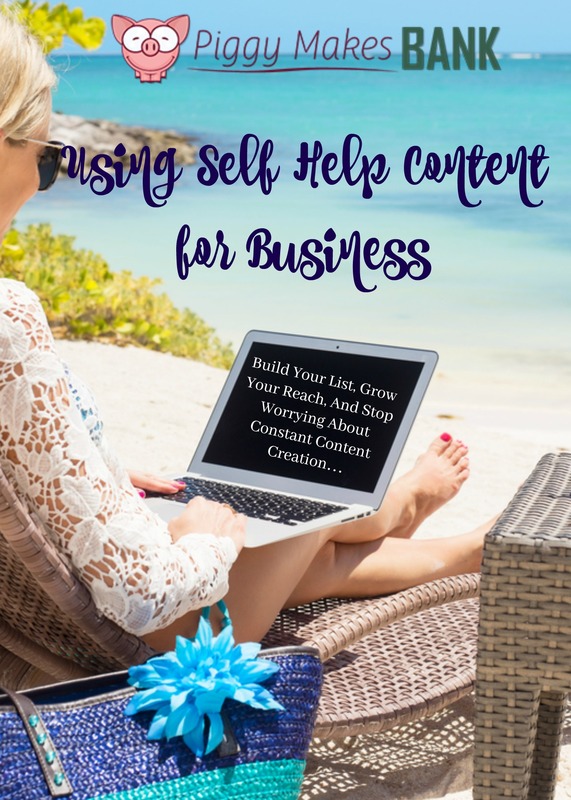 After a few minutes of browsing the site while I was waiting or the rice to boil, the topic for this blog post about self help content for business popped into my head and most of what you're reading here was written by the time dinner was done. What caught my attention tonight was how much self-help content there was on the first page of the entrepreneur website. Since we just released our Self-Help Content Membership, it's not surprise that it caught my eye. It's a good thing I noticed it because it got me thinking about why you need self help content if you're in the business and marketing niche. Both Tracy and I have had a chance to connect with our customers who have signed up for the new membership site over the past few days. As we answered their questions and read their feedback, what's amazed both of us was the wide variety of businesses these people are in. We have customers with anything from personal fitness sites to those about religion and spirituality. They've all been inspired to take our content and tweak it for their market and their specific niche. Which brings us back to the business and entrepreneurship niche and it's many sub-niches. Side Note: There is something to be said about speed when it comes to your online business and your website. When inspiration strikes and it's something you can implement quickly, stop what you're doing and get it done. Move fast and your chances of fast business success greatly improve. Sometimes that means serving dinner 20 minutes later than intended, and that's ok.
Often the first thing that comes to mind when sit down to create some content for our business sites, it's the how-to stuff. It's about the tools we use and the mechanics of what we do be it content marketing or Facebook ads for example. I'm certainly guilty of that here on our blog. But being in business is about a more than this how-to information. Don't get me wrong, that stuff is important, but mindset is just as important and that's where self-help content comes into play. Doing well in your business has a lot to do with mindset. It's things like confidence and taking risks. It's about discipline and showing up each day. It's about not getting discouraged when things don't go your way. It's about cultivating people skills and becoming a better sales person. All of that and more falls under self-help and is a big part of business training and coaching. Most successful business people and athletes have something in common. A coach may give them some tips here and there and steer them into the right direction, but the biggest job of a coach is mindset related. It's about opening the trainees mind to see possibilities they couldn't see on their own. That's why coaching works so well both in business and in sports. We grow exponentially better when we hire a coach. If you've done this, you have experienced it for yourself. We did and the self help plr membership is a result of this growth. Tracy and I were talking yesterday and we both agreed that just two months ago, we could not have imagined what's been happening as a result. We are growing faster than we thought possible, getting more done, and we are trying new marketing techniques that we felt were far out of our reach before. In short, coaches work and they work because they get us out of our comfort zone… and that's all about mindset and self help. In short, what I'm trying to tell you is that if you run a website that's in the business niche… whether you're teaching other entrepreneurs how to get started, helping local small business make it online, working as a VA for business owners, or any of the many other business related sub-niches… you are missing out if you're not crafting content on mindset and self-help. Whether you're a business coach or not, you want to start to coach and help your target audience get better at what they do. You want to earn their trust and share your expertise. When it comes to business, as we've established, the mindset part is just as important as the “how-to” part. You get 30 articles and 30 emails on a self help topic each and every month. Add them to your blog and start mailing your list regularly. Or use the document with all article content compiled into an eBook to build your list or have a new mindset product to sell each month. Open up the content we give you each month and give it a quick edit. You want to tweak it for your particular business audience. Use language and examples they can relate to. This will make the content super helpful to them and ensure that you're building a stronger relationship with existing readers and broadening your reach with each new piece of content you publish. That's it. Start sharing self-help content on your site, on your social media accounts, and in your email marketing. Before you know it, you're coaching your audience and helping them become better at what they do. Of course you don't have to share this valuable coaching content for free. Use it as the basis for your business coaching program, combining your own experience and the tried and true concepts in the PLR content. You'll have a valuable product without a lot of legwork on your part. Ready to sign up? Click here to subscribe to the Self-Help PLR membership and start using it to grow your business.